Hidden in northeast Victoria just ten kilometres shy of the Murray River border with NSW, Rutherglen is a wine buffs’ paradise. Famous for producing some of the world’s best Tokays and Muscats (“The world’s richest wine”), Rutherglen was once a gold rush town, but soon gave over to the grape, and has done since the 1850s – in fact, at one stage Rutherglen was producing a quarter of Australia’s wine. Its scenic wine circuit can be enjoyed via limo – a door-to-door experience to the more than 25 wine cellars in the region – or, for the average Joe, there’s a cycling track along the Muscat Trail that traces the banks of the Murray, before curving back inland through the vineyards. All but one winemaking house in the region are still owned and run by the fourth, fifth and sixth generation members of the original families. Names like Chambers, Rosewood, Campbells, All Saints and Stanton & Killeen have been making wine for more than 150 years, with their legacies passed on within each family. 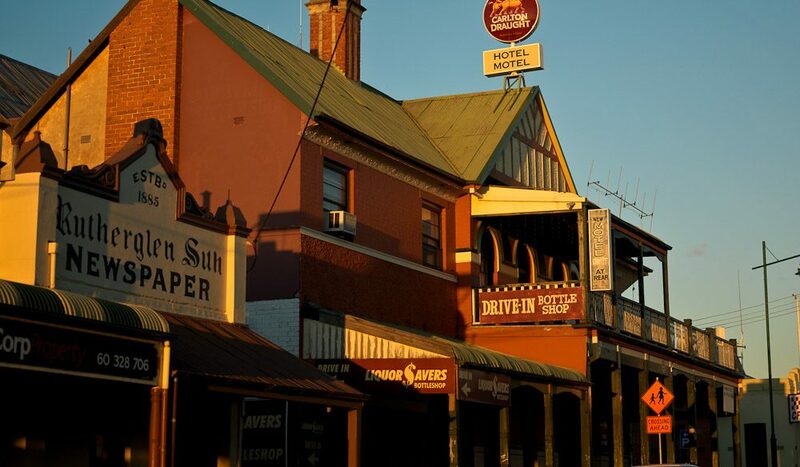 The town’s ghostly gold rush past can be explored via the Rutherglen Heritage Walk through town. Its old-country nature is reflected in the timeless streetscape, with classic two-storey Aussie pubs, verandah-lined shops housing antiques, collectibles and bric-a-brac and Australia’s most-awarded pie shop: Parker Pies. Where? // 300km (3hrs 20mins) northeast of Melbourne.